For one, I have always believed that education has always been one of the most important decisions we as parents make. We believed that our children will benefit from a Christian school education. We want them to be surrounded by the Lord's Word. We want them to grow up with Christ in their hearts. It is important to us, as parents, that we do all that we can to raise our children with morals and values. We, personally have always wanted our children to go to SCS, I always remember before enrolling our daughter Brianna passing by the school and saying, ''One day my children will go there." Andrew and I also went to a private school growing up and we have always believe that a true Christian education involves not only a Christian home, church, but most importantly a school. We absolutely love the fact that SCS not only provides numerous spiritual, academic, and social benefits for our daughter but has also provided a caring and safe environment for her. Since Brianna has attended SCS, we have seen her thrive socially and academically. SCS has helped her to continue to cultivate a stronger relationship with Christ that is truly unbelievable. My daughter has an increased awareness of God in her life and I see her questioning what God thinks about situations that she is faced with. I would tell them it's the best investment for their children's future! We get to volunteer in the classroom with various projects, which I personally love I get to meet Brianna's friends and interact with them. I also volunteer for Mom's Hot Lunch. 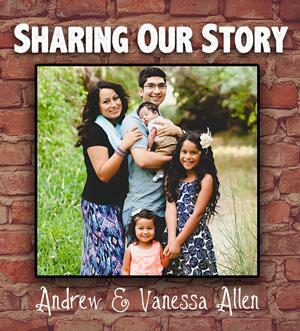 Andrew and Vanessa Allen have one child at Sunnyside Christian School: Brianna is in 2nd grade. They have two other younger children at home: Aulani and Ezra. They attend St. Joseph's Catholic Church. Sunnyside Christian High School is and has been an amazing opportunity for our son and family. After homeschooling Tanner in his early to mid-teen years, we felt the need to find a positive transition from home schooling to a more ‘typical’ classroom setting. Our concern was finding a curriculum that would be challenging and an environment that would put Christ first. Looking for, not only a spiritual environment, but looking academically towards college. Sunnyside Christian High School was that perfect match for Tanner. At SCHS, Tanner has thrived, not only in his journey toward a higher education but more importantly, in his belief in Christ. As a parent, I so appreciate how the teachers allow Tanner to be Tanner. There is such a gift by both teachers and staff to see potential in all the students and they don’t force square pegs into round holes. They have developed leadership skills in Tanner that will apply to all areas of his life. It has amazed me, when many teachers would have seen Tanners’ wittiness as totally inappropriate, SCHS teachers and staff were able to give encouragement but set a standard of conduct to enable him to grow in both ingenuity and acceptable behavior. In fact, they were able to see Tanners’ strengths and abilities in such a positive light that it has allowed for remarkable learning and growth. If Tanner had not been exposed to these positive influences, he would have missed seeing himself as they see him; an amazing young man with endless possibilities for his future. Tanner isn’t an exception at SCHS, each student is important to all of the Sunnyside Christian Community. Our family attends ‘Simply Jesus’ services in Yakima. Along with our own family perspective, Sunnyside Christian has helped to solidify Tanners’ belief in Christ with Chapel, classroom devotions and other Christ centered activities. All of these opportunities have provided space for him to examine what he believes and grow in his relationship with Christ. Sunnyside Christian High School is an excellent choice when exploring educational opportunities. Students have a smaller teacher-student ratio, athletics, band/choir and drama, to name a few additional benefits. If faced with having to select a school again, I would choose Sunnyside Christian High School. 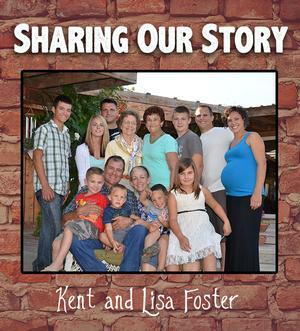 Thank you, Lisa, for sharing your story! As I read through this, I can agree with you on so many points having gone through SCHS and now having my kids in Kindergarten. My family and I just wanted to share a few words to everyone about my son’s experience transitioning from a public school to the Sunnyside Christian. 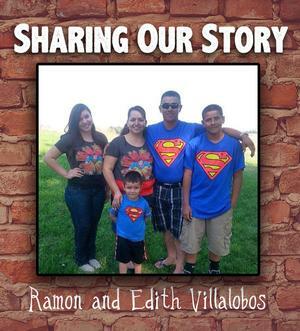 My name is Ramon Villalobos and my wife is Edith Villalobos, and we have three kids: Abigail, Eric and Jared Villalobos. Abby is a 17 year-old senior, Eric is a 14 year-old eighth grader and Jared is a six year-old in Kindergarten. We are residents of Mabton, and all of my children have always attended public schools. My family and I decided that Sunnyside Christian would be a great school for Eric to attend because we heard that Sunnyside Christian focused on each of their students’ academic needs. My family and I heard about Sunnyside Christian because my boss Dr. Bill Wavrin, who was a member of the SCS school board, told us how great of a school it was and how involved the parents and teachers are in furthering the education of every student. We are very pleased with Eric’s progress in school and are looking forward to sending my youngest son Jared to attend Sunnyside Christian School as well next year. We are very thankful that Sunnyside Christian has made such an impact on my son’s academic needs as well as his faith. We are looking forward to becoming more involved with the school and getting to know all of the parents and teachers who make it possible for my son to attend Sunnyside Christian. If there are families who have wondered about sending their children to Sunnyside Christian we highly recommend you to look into it, because it’s the best investment you can make towards your child’s future. If anyone one has questions regarding our experience my phone number is (509)831-7337, and I will gladly answer any questions. You can also contact me through my email. Again, thank you to the Sunnyside Christian School for welcoming my family with open arms. I remember very clearly the 6 hour drive our family was taking to the ocean and the 6 hour talk I had with my husband about sending our children to Sunnyside Christian School. It was something I always wanted for my children. I knew we focused on Christ as the center of their home life but I also wanted them to have that when I sent them off for school. Choosing to send our kids to a Christian school was a difficult decision for my husband and I because we both graduated from one, and it wasn’t the best experience for either of us. We were nervous to send our children to a school we knew little about but it was something that God had really laid on my heart. It would also be a financial burden on us but I was trusting God to meet this need in our lives. After our long drive, we decided we would send them for a year and see how it goes; but it didn’t take a year for us to realize this was what we had been praying for. It fact, it took one week of our precious boys coming home and telling us all they had learned and seeing how incredibly happy they were, to know that this was the place for us. Not only are they given an exemplary education, but everything is Bible-based and Christ-centered. My children leave for school each day and have their educational needs and their spiritual needs met. I couldn’t ask for anything more. Since attending Sunnyside Christian School, my oldest son has become such a good example for his siblings. He reminds them to pray and tells them about salvation and heaven on a daily basis. He is also reading in the short seven months he has been in Kindergarten! He is truly excited to know God, talk about Him, and be surrounded by classmates and a teacher who feel the same. My preschooler spends his day after school singing me Bible songs he learned at school and reminding himself that Jesus wouldn’t like if he ate his sister’s cookie and my heart melts. If Sunnyside Christian School is something that you are considering for your child and you are still on the fence about it, I challenge you to pray and commit to sending them for a year. Although it won’t take a year, as my husband says, to realize how wonderful this school and its teachers and staff truly are. There is no sacrifice too great to give our children a Godly education, and there is no reward greater than seeing your children grow with that Godly education. I cannot wait for the next year and our boys’ journey to continue at Sunnyside Christian School. 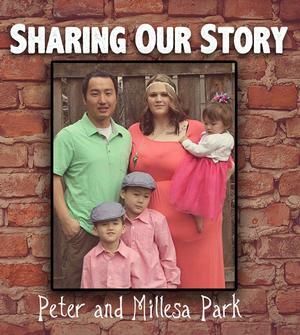 Peter and Millesa Park have two children at Sunnyside Christian School: Jimmy in Kindergarten and Bentley in 3 year-old preschool. They attend Prosser Friendship Baptist Church. Thank you for sharing this wonderful, inspiring testimony! If you’re a regular reader of our Thursday newsletter, then you know that enrollment at Sunnyside Christian is down and the budget deficit it up. When we started our school year in August, we were discouraged at the number of students in our hallways, but were excited about the potential of those same students. Now here we are two months away from class trips, Track and Field Day and graduations. The weather is warming, the trees are blooming, the students are wearing shorts, and anticipation is in the air. There has been so much good this year. And we want to tell you about it! 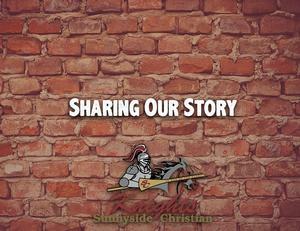 Starting tomorrow, we will feature a Sunnyside Christian family and allow them to tell you their story. We hope this will be an encouragement to all our families and will help us spread the word about how Sunnyside Christian is shaping the hearts, minds and lives of children in the Yakima Valley. As part of this series, we are also asking that you will join us in promoting Sunnyside Christian to your family and friends. Because of our budget deficit, our tuition should increase $1,000 per student for the 2015-2016 year. Instead, the tuition increase will be small. We are taking a step of faith that God will provide 30 more students for our classrooms next year. Will you join us in praying for 30 more students? Will you share these stories on your Facebook page? Will you talk about your experiences at SCS with others? Will you invite them to tour our hallways and visit our classrooms? Let’s see how God will continue to bless Sunnyside Christian School!